Coupling rebar with mechanically pressed steel couplers is now the preferred method for projects with monolithic reinforced concrete. 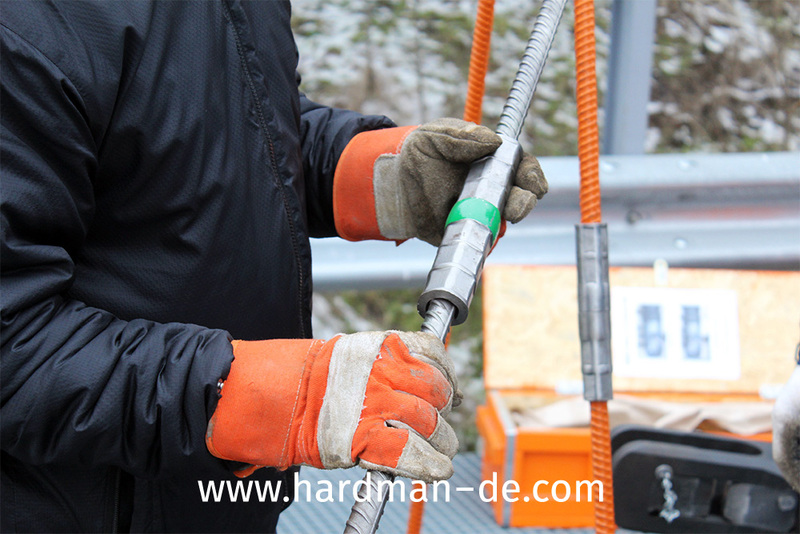 Hardman’s mechanical joining equipment will increase your construction speed and reduce your project costs, wherever a reliable full-strength joint is required. 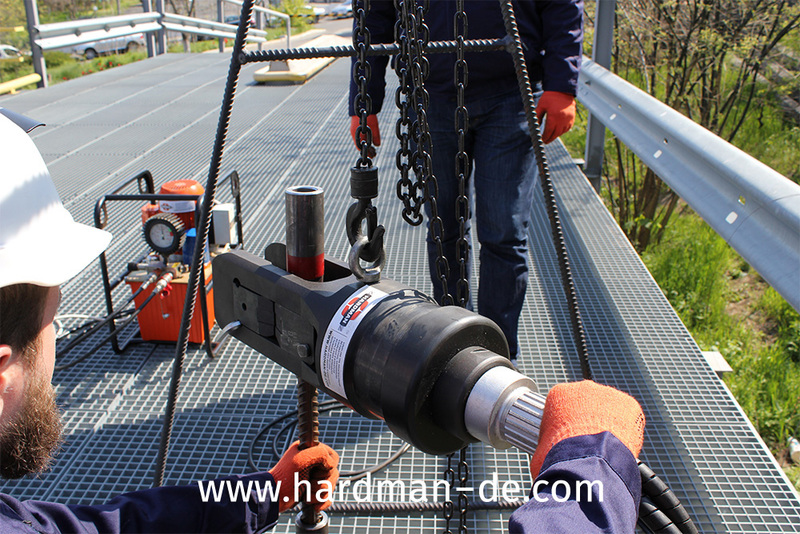 Using Hardman couplings provides easy installation, perfect alignment of joined reinforcing bars, durability, and lower overall costs. And with no gas emissions, or wasted material, building the Hardman way is also environmentally friendly. A welded overlap joint can be a weak spot. But testing of coupler-joined reinforcement bars have shown that under high stress, the bars themselves fracture before any damage appears on the coupled joint. In fact, a mechanically pressed coupling actually increases the breaking strength of the combined rods by 20-25%. Coupling the reinforcement is carried out using portable equipment. The pace of works depends on the diameter of reinforcement and the spatial position of the joints. Depending on the diameter of bars being joined, from 2 to 6 pressed couplers may be produced. We can also provide with a stationary equipment that can do coupling with only one press out, doesnt depend on the size of rebar/coupler.